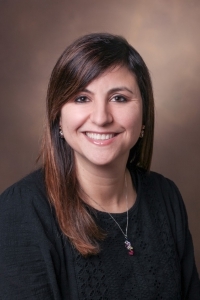 Dr. Natasha Halasa is Associate Professor in the Division of Pediatric Infectious Diseases at Vanderbilt University. She received a Bachelor of Science degree with a major in biology from the University of Akron. She received her M.D. degree from the Medical College of Ohio and completed a residency in pediatrics at Columbus Children’s Hospital. She completed a fellowship in pediatric infectious diseases at Vanderbilt and earned an M.P.H. degree during her fellowship training. She joined the faculty in 2004. Dr. Halasa’s research involves determining the burden of diarrheal and respiratory illnesses in young children and specialized populations and finding ways to reduce their burden (e.g. through vaccine, drugs, etc…). Since 2002, Dr. Halasa has been involved in vaccine trials enrolling children from all ages, including young infants and specialized populations such as children with cancer. The vaccine trials that Dr. Halasa has been involved with in the past include influenza vaccines (both the trivalent inactivated influenza vaccine and the cold-adapted influenza vaccine), pertussis vaccines, pneumococcal, and RSV vaccines. In addition, she has the expertise in vaccine protocol development. She was the PI of a respiratory viral surveillance study in Amman, Jordan, which was funded Union Bank of Switzerland. Currently, currently is PI of the Vanderbilt site of the New Vaccine Surveillance Network initially established in 1999 by the U.S. Centers for Disease Control and Prevention (CDC) to predict the impact of potential new vaccines and two NIH grants investigating high dose influenza vaccine versus standard dose influenza vaccine in pediatric and adult stem cell recipients.